This article describes how a visual cryptography scheme, with one prominent feature—decrypting simply, has attracted much research attention since it was first proposed. However, meaningless shares remain a continuing challenge in the development of VCS. 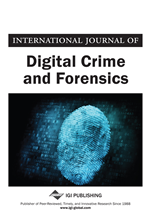 In this article, an extended visual cryptography scheme (EVCS) based on XOR operation is proposed, in which QR codes are utilized as the cover images of shares. By designation, all the shares generated in the scheme can be decoded by standard QR code readers with specific meaning. In addition, to achieve high sharing efficiency, a method of simultaneously sharing a secret QR code among multiple subsets is presented. Also, sufficient and necessary conditions of the method are analyzed with an integer programming model, providing a general construction approach for EVCS under arbitrary access structures. As an important branch of secret sharing, the concept of visual cryptography scheme (VCS) was first proposed by Naor and Shamir (1995). According to the original definition of a (k, n)-VCS, a secret image is distributed into n shares. No secret information will be revealed with possession of fewer than k shares. But when k or more shares are superimposed, the secret can be easily decrypted by human vision. In the past few decades, VCS developed rapidly and has made great progress in many aspects (Liu & Yan, 2014). A scheme for general access structures was given therewith (Ateniese, Blundo, Santis, & Stinson, 1996), getting rid of threshold constraints on the qualified subsets. Optimal pixel expansion (Shyu & Chen, 2015) and contrast (Lin, Chen, & Lin, 2010) were explored later. To further improve the performance of recovery, XOR operation was introduced into the study of VCS (Shen, Liu, Fu, & Yu, 2017; Yang & Wang, 2014; Wu & Sun, 2014). For the sake of flexible sharing strategies, efforts have been made for multiple secrets (Jia, Wang, Nie, & Zhang, 2016), cheat prevention (Chen, Tsai, & Horng, 2013), region or fully incrementing (Hu, Shen, Fu, Yu, & Wang, 2016; Chen, 2017) and progressive schemes (Hou & Quan, 2012). All studies mentioned above contribute a lot to the practical applications of VCS. The only downside is that the shares in these schemes are meaningless and easily arouse suspicion of some potential attackers when distributed via a public channel. Therefore, the extended VCS (EVCS) seems more attractive because it generates meaningful shares instead of random images (Naor & Shamir, 1995). By adding some extra columns into the basis matrices, Wang et al. (Wang, Yi, & Li, 2009) designed a (k, n)-EVCS with poor contrast of shares. To improve visual performance, a scheme was proposed on the basis of halftone image technology (Kang, Arce, & Lee, 2011). And other studies have also been attempted with better results (Liu & Wu, 2011; Yang, Sun, & Cai, 2016; Yan, Wang, Niu, & Yang, 2015; Ou, Sun, & Wu, 2015). Nevertheless, the camouflage effect of shares in these schemes was still unsatisfactory since there were many noisy points visible. Later, secret hiding techniques were utilized to generate meaningful shares (Yan, Wang, El-Latif, & Niu, 2015; Amiri & Moghaddam, 2016; Yuan, 2014), but with large computational load.